Fleurs Place a restaurant, cafe and bar right on the waterfront at the old jetty. 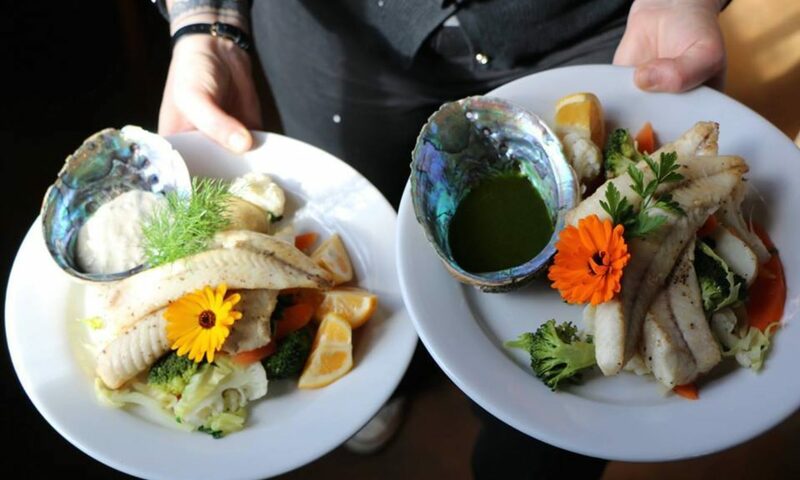 Our specialty is fresh fish straight from Moeraki Bay fishing boats. The restaurant established on an early whaling station site in 2002 and is built from gathered collectables and demolition materials from all over New Zealand. The owner Fleur Sullivan has made her reputation in Central Otago where she established Olivers restaurant and has received numerous awards for her restaurants and in recognition for her contribution to tourism.